A “Taylor Rule” For Chopper Drops? The British monetary thinker Lord Adair Turner contends that helicopter drops, at least those designed as money-financed fiscal programs (MFFPs), will work to counter recessions and slow growth, and macroeconomists know they will work. Turner says the usual objection to chopper drops is political—a fear the money-printers will gain the upper hand, rout common sense, and charge to hyperinflation. Turner may be too kind; some people oppose chopper-drops due to sheer dogma. So, why not a “Taylor Rule” to guide or restrict MFFPs? Where i is the nominal federal funds rate, r asterisk is the real federal funds rate, pi is the rate of inflation, p asterisk is the target inflation rate, y is a logarithm of real output, and y asterisk is a logarithm of potential output. True, the Taylor Rule makes less sense when deflation becomes the norm, and there seems to be no provision for quantitative easing (QE), although Taylor has gushed about the use of QE in Japan. And as even with Market Monetarism NGDPLT, there can be agendas hidden in the little numbers of the Taylor Rule. For example, a tight-money fanatic could praise NGDPLT—as long as the target was a 2% increase for every year. Marcus Nunes would add that monetary rules should target results, not process. Still, when it comes to helicopter drops, some rules might provide comfort. So let’s listen to Marcus and target 6% NGDPLT. How should a chopper drop code or formula read? How about this: For every 1% below a target of 6% increase in annual NGDPLT, then $100 billion of money-financed fiscal policy is induced, preferably through cuts in payroll taxes. In this plan, payroll taxes would be cut by $100 billion for every 1% deficit from target, and the Federal Reserve would print up $100 billion and turn it over to the Social Security-Medicare Trust Funds. No doubt some readers will have a great deal of uneasiness with this proposal. But does the current Rube Goldberg arrangements of the Federal Reserve, working through the 22 primary dealers, prosecuting the buying and selling of Treasuries on the open market, and the passing through of interest but not principle from the Fed to the U.S. Treasury, really make sense? Would anyone design such a system from scratch? Furthermore, the present-day claptrap system relies on major extent on private-sector but extraordinarily regulated commercial bank lending to expand economic output. But banks are loath to make unprofitable loans, and the bulk of bank loans are on property. In other words, the Fed is trying to stimulate the economy through property markets, or (more usually) apply the monetary noose. The noose we saw in 2008, btw. As noted by many, the targeting of interest rates and inflation is off-center. 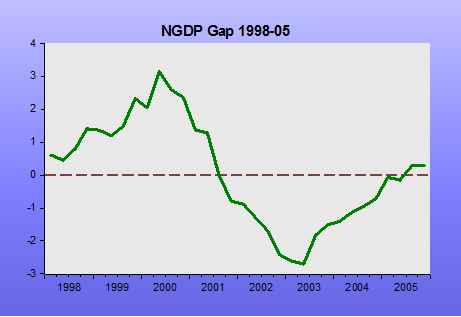 The target should be expansion of GDP, also called nominal GDP, and preferably the NGDPLT. Surely, any rules that apply to helicopter drops could be tweaked, although the more simple, the better. And in the end, it does not matter if inflation is 1.4% or 2.1%, though the current FOMC, and cult of central banking, seems to regard such trivia of Titantic importance. 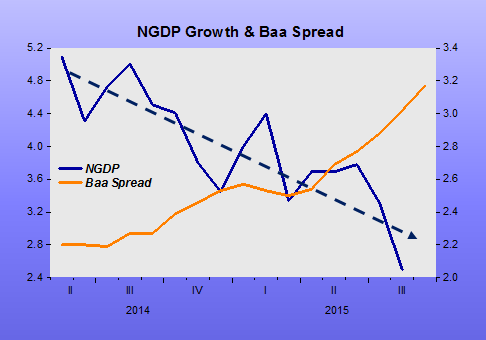 What matters is sustained growth of NGDPLT, and a nation that consistently pursues pro-business policies. PS I wonder if federal agencies, including the Federal Reserve, are collecting data as they could. With the advent of bar codes, many national retailers know daily sales. National hotel chains and airlines at any moment know their room and seat counts. Many traffic-monitoring systems exist. Is it not possible to generate a fairly accurate, timely picture of NGDP, and adjust helicopter drops accordingly? What is important for attaining the Federal Reserve’s mandated objectives is not that monetary policy is described in terms of a formal prescriptive rule, but rather that the FOMC’s intentions and strategy are well understood by the public. This argues for clear communication through the FOMC meeting statements and minutes, the FOMC’s statement concerning its longer-term goals and monetary policy strategy, the Chair’s FOMC press conferences and testimonies before Congress, and speeches by the Chair and other FOMC participants. But it also is important that the strategy be the “right” reaction function. 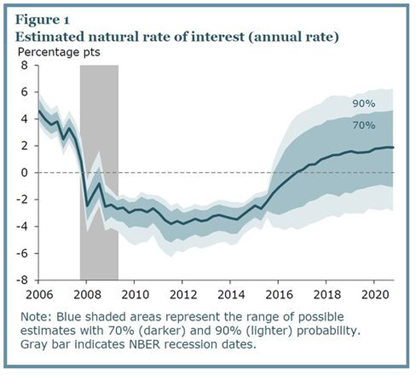 This means a policy approach that responds appropriately to important factors beyond the two parameters of the Taylor Rule—the output gap estimate and the rate of inflation. Interesting that each month a new “important factor” buts in! It´s good when something works both in practice and in theory! The design of monetary policy has been the subject of a voluminous and influential literature. In spite of widespread discussion in the press and policy circles, the normative properties of nominal GDP targeting have not been subject to scrutiny within the context of the quantitative frameworks commonly used at central banks and among academic macroeconomists. The objective of this paper has been to analyze the welfare properties of nominal GDP targeting in comparison to other popular policy rules in an empirically realistic New Keynesian model with both price and wage rigidity. 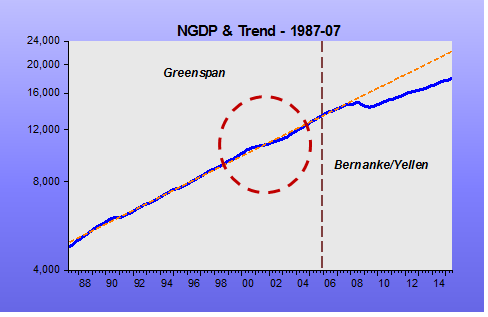 We find that nominal GDP targeting performs well in this model. It typically produces small welfare losses and comes close to fully implementing the flexible price and wage allocation. It produces smaller welfare losses than an estimated Taylor rule and significantly outperforms inflation targeting. It tends to perform best relative to these alternative rules when wages are sticky relative to prices and conditional on supply shocks. While output gap targeting always at least weakly outperforms nominal GDP targeting, the differences in welfare losses associated with the two rules are small. Nominal GDP targeting may produce lower welfare losses than gap targeting if the central bank has difficulty measuring the output gap in real time. Nominal GDP targeting always supports a determinate equilibrium, whereas output gap targeting may result in indeterminacy if trend inflation is positive. Overall, our analysis suggests that nominal GDP targeting is a policy alternative that central banks ought to take seriously. There are a number of possible extensions of our analysis. Two which immediately come to mind are financial frictions and the zero lower bound. Though our medium scale model includes investment shocks, which have been interpreted as a reduced form for financial shocks in Justiniano et al. (2011), it would be interesting to formally model financial frictions and examine how nominal GDP targeting interacts with those. Second, our analysis abstracts from the zero lower bound on nominal interest rates. It would be interesting to study how a commitment to a nominal GDP target might affect the frequency, duration, and severity of zero lower bound episodes. On the last sentence, MM´s have little doubt that, when undertaken, the study will also corroborate their view that the frequency, duration and severity of ZLB episodes would essentially disappear! I think Bernanke is still “taking it easy” in his blogging. I hope he´s “warming up” to what really matters, i.e. explaining why the Fed bungled in 2008! Bashing the Taylor-rule is easy, even if, like me, you´ve never been a central banker. I did that in a number of posts (two examples, here and here). In the following paragrah, BB disappoints, and indicates that the bad things that happened after 2008 were not the fault of the Fed. In fact, according to him, the Fed came out ahead of the pack!